(Reuters) - A network of investigative journalists in Eastern Europe and the former Soviet Union has said it has uncovered evidence of widespread cigarette smuggling by distributors of Japan Tobacco International (JTI), an arm of Japan Tobacco. The Organized Crime and Corruption Reporting Project said it used access to internal company records, e-mails and interviews with former employees to uncover cigarette smuggling by distributors for the company in a dozen countries in the region. A spokesman for Japan Tobacco said the issue had been resolved. "These matters have all been properly addressed and handled within JTI in line with our overall stance toward anti-illicit trade and my understanding is that it has been all solved or addressed already as far as JTI is concerned," said Hideyuki Yamamoto, a spokesman for Japan Tobacco, in Tokyo. He said the information contained in the OCCRP report had been circulated for the past two years or so by people believed to have been fired by JTI. The OCCRP report said JTI officials at its headquarters in Geneva declined to answer specific questions, but said a former employee was spreading false information. Reports piled up from Japan Tobacco International (JTI) investigators around the globe. Mobsters were doing business with the firm's Russian distributorship while shipping tons of illegal cigarettes into Europe. Workers felt endangered. Accused smugglers and criminals ran some of its Middle East partnerships. And that, according to thousands of pages of company records, e-mails and secret recordings obtained by the Organized Crime and Corruption Reporting Project (OCCRP), along with interviews of a half-dozen past employees, created another problem for the world's third largest tobacco company. This year, as Syrian president Bashar Al-Assad killed his own people and faced worldwide sanctions, JTI's Middle East business partner IBCS poured cigarettes into duty free shops, according to invoices obtained by OCCRP. The profits went to a company whose owner, Rami Makhlouf, according to a European Union sanctions order on May 23, "provides funding to the regime allowing violence against demonstrators." Four days after the sanctions took effect, JTI's partner and sole Middle East distributor shipped 9,000 cases – 90 million individual cigarettes -- to Syria Duty Free. In the same month, Syria Duty Free claimed to transfer ownership from the Mahklouf family although OCCRP could not verify this. However, a US Department of Treasury notice two months later says "the U.S. Government has reason to believe that Rami Makhluf (sic) is disassociating himself (in name only) from his businesses and looking to safely store his wealth outside of Syria." Simon Evans, a spokesman for rival Imperial Tobacco, said his company stopped selling to Syria Duty Free the instant sanctions took effect and hasn't resumed. "We do have some questions about the sale by Mr. Makhlouf and whether it is valid, but even if it is valid, we and the entire industry are required to do full and complete vetting on any new distributors. Obviously that can't happen in a few days or months, so we can't resume sales until this is sorted out,'' Evans said. 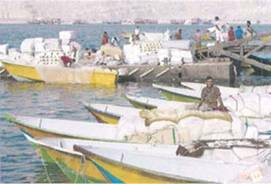 JTI e-mails detail how widespread the smuggling had become across several regions. JTI Investigators caught an Israeli distributor smuggling large quantities of cigarettes into Iraq and Belgium, but investigators say the company took no action. Contractors working for JTI paid officials in Iraq, Kurdistan and Iran to get information on smuggling routes, according to the company's internal reports on Iraq, and interviews with contractors. Executives at JTI headquarters in Geneva, Switzerland, did not respond to specific questions, but did issue a written statement blaming a "former employee'' for spreading false information. "We will decline your invitation (to comment). Our company does not wish to comment on the unfounded allegations raised in the various e-mails you sent us," Guy Cote, a media relations vice president, wrote in an e-mail. Deborah Arnott, chief executive of Action on Smoking and Health (ASH) in London, said the revelations against JTI prove that the tobacco industry hasn't abandoned its old practices. "JTI, Philip Morris International, BAT and Imperial, have signed legally binding agreements with the EU committing to preventing smuggling of their products anywhere in the world," she stated. "If subsequently JTI has carried on aiding and abetting smuggling, then it's clear that a regional agreement like that negotiated by the EU is insufficient. When you have smuggling, you undermine public health, you invite crime and you rob tax payers of millions of pounds of revenue every year." Plane used in smuggling operations to Iraq. Kevin Tomlinson, the general manager in Russia, said that he wasn't concerned about an increase in cigarette seizures at Baltic borders because profits outstripped potential EU-imposed fines for not stopping the smuggling, an email from the compliance team reported. Tomlinson's comment was also secretly recorded by the compliance team. "Shipments to unauthorized buyers have reached a massive scale exposing the company to fines potentially of around €30 million," Reynolds wrote. "We have repeatedly reported our findings to JTI management ... but have yet to elicit any concerted effort to halt these diversions. "In recent months members of my team have been directed not to investigate several instances of smuggling related to specific JTI distributors ... and the possible involvement of JTI employees with known smugglers," Reynolds wrote on Friday, April 10, 2010. The company also removed his top assistant, Craig Douglas, that same day. Over the next several months, JTI phased out nearly a dozen contractors who knew about the smuggling and worked closely with Reynolds and his unit. By July of this year, nearly all of Reynolds' team had been terminated. "What happened was that Dave (Reynolds)'s group had figured the whole thing out, and they were going after various people," said Cary Hendricks, a computer intelligence specialist who spent six years contracting at JTI. "Once they had gathered enough proof, they called in the cavalry (notifying senior executives). Then just like that, Dave and Craig were fired – a totally unexpected turn of events." "At that point, the entire culture of JTI investigations changed. You had this extremely professional, experienced team working together and sharing a lot of information," said Hendricks. "There was a buzz in the office, and they were doing great work. And they were replaced by what appeared to be a bunch of office workers who would show up, sit at their computers and do nothing as far as real investigations. It was sad to see." "You have to ask yourself how serious they are when they bring in people from Gallaher to take over," said a former employee who had knowledge of both companies. "The culture in Gallaher was very much, ‘Let's not get caught, but if we do get caught, be prepared to defend ourselves.' They didn't take steps to stop smuggling, just to insulate themselves when it came out." Tobacco is the world's most smuggled legal product, in large part because profits are huge and penalties weak. Smugglers ship containers of tobacco from areas with low taxes such as Russia and Ukraine, or from duty free spots in Dubai and Panama, to high-tax countries in Western Europe and North America. A single container of cigarettes can bring a $1 million profit. Since the mid-1990s, major cigarette companies have repeatedly been implicated in working with criminal groups to smuggle cigarettes, feeding billion-dollar black markets in contraband smokes. In the past eight years, tobacco makers have paid at least $5 billion in fines and signed agreements to stop participating in the illicit trade. JTI signed a compact with the European Commission in 2007 obliging it to crack down on smuggling and put in place what it called a "zero tolerance policy," toward illicit shipments. The Serbian list raised troubling questions. First, the compliance team wanted to know if the investigator, on contract with JTI, bribed law enforcement officials for the information, or was it passed on as a tip to be investigated. Once they decided the document came legally, they would investigate the 13 named employees and contractors, according to company e-mails. Similar conflicts took place at JTI's offices around the world. In Russia, JTI investigators reported that alleged mobsters had financial stakes in some of JTI's largest Russian distributorships, according to company e-mails and auditing reports. The governments of Canada and Ecuador sued RJR in the 1999 under U.S. anti-racketeering laws, claiming that the company actively smuggled. 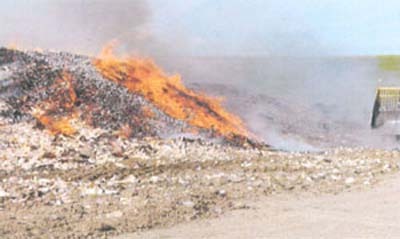 The European Commission filed a separate suit, accusing high level RJR executives of knowingly accepting criminal proceeds and laundering money with drug cartels in South America, working with terrorists in Northern Iraq and of breaking trade embargos to ship cigarettes to Iraqi dictator Saddam Hussein's government. U.S. judges dismissed all lawsuits, saying they didn't have jurisdiction over foreign tax matters. Gallaher was equally notorious. In 2005, Gallaher fired a distributor it accused of smuggling tobacco. The distributor filed a lawsuit, saying Gallaher systematically engaged in smuggling. Gallaher won its lawsuit, but testimony and a judge's final order dismissing the lawsuit harshly rebuked Gallaher. In testimony for the civil lawsuit, a former director of Gallaher, Norman Jack, testified the company routinely enabled smuggling and adopted a culture of "willful blindness". "In light of the recent acquisition of the Gallaher group, steps were rapidly taken to ensure that certain practices that could potentially run afoul of JTI's Code of Conduct were addressed," the memo said. "JTI's is committed …. to act swiftly and decisively in stopping actual or potential illegal sales of its product will be acted upon." Despite the announcement, incidents of wrongdoing by JTI's distributors were reported almost monthly during 2009-10, according to company records, but former employees said no action was taken in the most profitable areas. The records show that investigators suspected tens of millions of cigarettes were being diverted to smuggling operations in Russia and the Middle East and elsewhere, often with the help of JTI's own distributors. In Montenegro, Rokšped served as JTI's distributor for the Montenegro, and remains so today, despite a 2007 arrest and a recent conviction for cigarette smuggling of Anton Stanaj, a member of the powerful family that runs Rokšped. Dubbed operation "Memphis" -- after a pre-JTI Gallaher brand-- the Balkan police operation tracked shipments of cigarettes from China, Dubai and other countries to Montenegro and on to the EU through Rokšped and other companies. According to the indictment, Stanaj used Rokšped as the smuggling base of operations. Stanaj was convicted in May this year in Belgrade and sentenced to six-and-a-half years in prison. Rokšped is still JTI's partner in Montenegro according to the firm's website, and Stanaj is appealing his conviction. IBCS did not respond to four telephone calls from OCCRP. An e-mail sent through the company's website – at the request of an IBCS official – received no response. At the center of the investigations was David Reynolds, who ran JTI's Asian-Pacific office of Brand Integrity for four years before being promoted to oversee global operations at the end of 2008. He quickly assembled a team of investigators, some of whom he had worked with before, others he knew only by reputation. By early 2010, the team was running an extensive undercover operation in Iraq and Kurdistan, and had broadly expanded the company's investigative capabilities. As the investigators compiled information on Audeh Group, ICBS, and others, the staff also uncovered evidence that its computers were being hacked. Cary Hendricks, a computer security specialist who spent six years as a JTI contractor, found a unique sort of "Trojan horse" had infected the team's computers and allowed hackers to see what each operative was writing, according to company e-mails. "… JTI management has not lived up to the ‘zero-tolerance policy' … and, in those cases that touch on smuggling into or via the European Union, has specifically and repeatedly violated (its obligations under the European Commission agreement of 2007)." Reynolds wrote. "In a few cases sensitive information from (brand integrity) investigations has even been passed back to the smugglers themselves by unknown persons in the company." Several other fired investigators were quickly snapped up by executives at rival companies. One senior investigator ousted with Reynolds said he turned down a JTI severance package worth $100,000 because it meant signing a non-disclosure agreement. "I have to look at myself in the mirror," he explained. "I don't think they knew what they were getting into when they hired Dave," the investigator said. "For years they had people who were content to collect their money and not do anything. That's how the game worked." "And suddenly we come in and start doing real investigations and uncovering a lot of smuggling," he said. "They didn't like what we were doing, and we didn't like what they were doing. It was great for a few months, but it couldn't last. They just didn't want us to do our jobs."